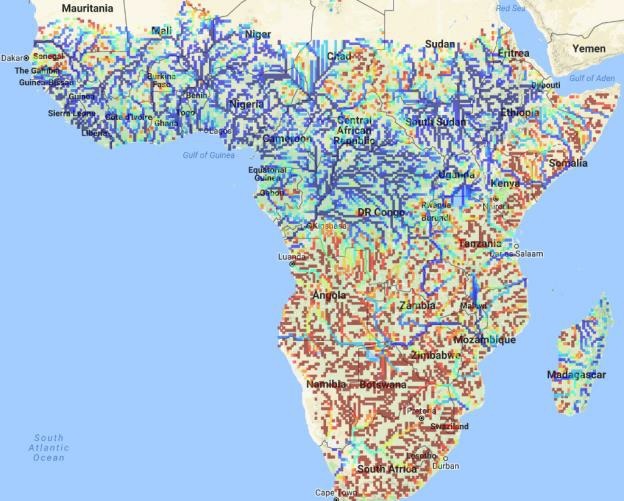 Developed by Princeton University’s Terrestrial Hydrology Group in collaboration with UNESCO IHP G-WADI and ICIWaRM, the African Flood and Drought Monitor (AFDM) monitors and forecasts meteorological, agricultural and hydrological drought at various temporal and spatial scales. It also has a multi-decadal, historical reconstruction of the terrestrial water cycle against which current conditions can be compared. References for these applications, all of which are from 2016 and 2017, may be found here.